With all the Vancouver Whitecaps transfer rumours swirling out there in the Twittersphere, one that seemed to completely fly by the radar was that of Orlando City’s experienced right back Scott Sutter. Sutter became the ninth new addition to Marc Dos Santos’ Whitecaps roster rebuild on Wednesday, signing a one year deal with a one year option, after spending the past two MLS seasons in Orlando. 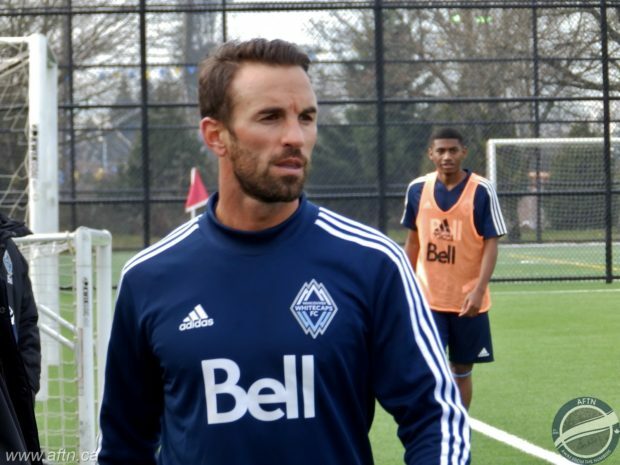 And with that, another positional hole was filled (a second right back option) and another box was ticked in terms of adding some much needed veteran experience and leadership to a young Whitecaps squad. 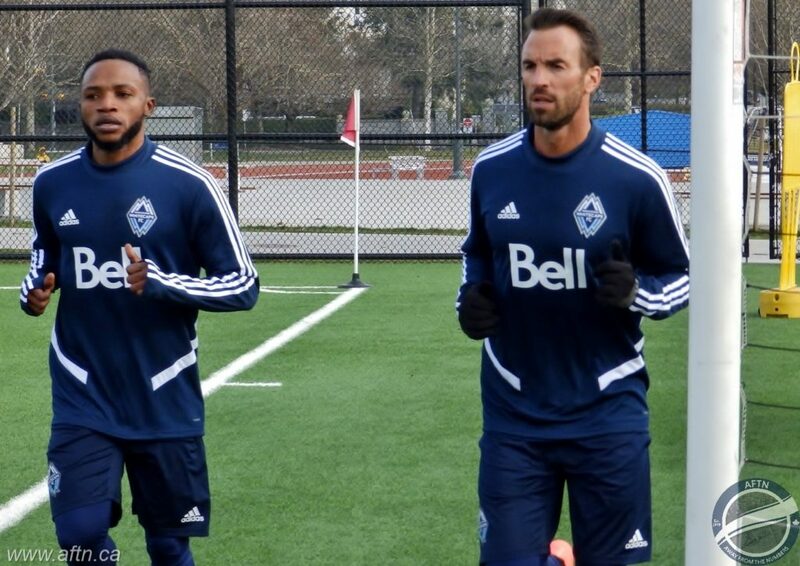 There seems to be something about the water in Orlando that leads their players to Vancouver. Following on the heels of Brek Shea and Jose Aja in Carl Robinson’s tenure, Dos Santos has added Victor “PC” Giro and now Sutter. For the Swiss-English defender, it was something of a surprise initially, but once he had time to process Vancouver’s interest in him he soon became “really, really excited” to be here after doing his research on the team and the city. Sutter scored four goals and had six appearances in 51 MLS appearances for Orlando. A near ever-present in his first season, a knee injury last April derailed his 2018 season, keeping him out of the line up for ten matches, before returning too early, playing for a game and a bit, and then missing another four. Once the injury was finally put to bed, he started Orlando’s last 13 games and was set for another season in Florida before Dos Santos swooped. Now the cynical amongst you might wonder why Vancouver have taken two defenders from the team with the worst defensive record in the MLS to add to the team with the fourth worst record. And that’s a fair point to make. At face value, it does seem strange, but Sutter isn’t your average MLS defender. Sutter made the move from England to Switzerland as a 16-year-old, where he went on to spend 14 years playing in the Swiss Super League for Grasshopper Zürich, FC Zurich, and Young Boys before making the move to MLS in 2017. His experience will be invaluable to a very young squad. At 32, Sutter, de Jong and Erice are the ‘old men’ of the team, but it’s not just about age. Sutter brings with him 18 years experience as a pro, playing in the Swiss top flight, the UEFA Champions League, Europa League, and internationally with Switzerland. He has over 400 career appearances under his belt, and was just the kind of player Dos Santos was looking to add. And coming into such a young squad is something Sutter is relishing. “When there was first interest expressed I looked at the team and saw how young it was and how much turnover there has been,” Sutter admitted. “There’s a lot of new players coming in, myself included, so now I think I might be the oldest one here. With another right back a pressing need for the ‘Caps this offseason, adding one of Sutter’s experience is key. So when did he first learn of Vancouver’s interest in him? “It was probably the middle of January that there was first interest expressed,” Sutter revealed. “It was a bit up and down. There was interest, and then it went quiet, and then there was. It’s just how it kind of is in football. But then when it went down it happened really quickly. So it was a quick transition. “When I initially knew that Vancouver were interested, it was one of the places in MLS that I would have love to have gone to. I’ve got a few friends that live close by in Victoria and I’ve heard a lot of good things, not just about the city, but about the club, and also Marc as well. Sutter’s addition will spark a heated battle between himself and Jake Nerwinski for the starting role this season. Dos Santos has been an admirer of Nerwinski, and despite bringing in a player of Sutter’s experience, he knows what last year’s starter brings to his team. But he wants Nerwinski challenged. To make sure that the position has a strong back-up, no matter who has claimed the starting jersey initially come First Kick. And Sutter will definitely do that. “We believe a lot in Jake,” Dos Santos told us. “And even before we brought Scott in, I had a conversation with Jake that I’ve been very, very happy with him. “Actually I had, maybe being on another bench last season, my vision of Jake was very superficial. I had an opinion, like I had of every player, but now working with Jake for these days, I realise there’s a lot of potential. He could even become a better player. And it’s a battle Sutter is looking forward to. Both the full back positions are going to be key in the system Dos Santos is looking to play. He’s talked about favouring a 4-3-3 formation, with quick wingbacks and a high press. And that’s just how Sutter loves to play. “In my time in Switzerland, it was something I was used to with one of the top two teams in the league,” Sutter explained. “It was kind of our philosophy to always want to dominate, always want possession of the ball. If it’s me, I want the ball as much as possible. I don’t want to be too long without the ball. “So the fact that we will want to high press, in football it’s a game of a thousand mistakes. So there will be misplaced passes, there will be loss of possession, and it’s just about how quickly that we can recover that possession and I think that’s what Marc is about.